These 10 Reasons about Coimbatore will make you fall in love with the city..! Coimbatore derived its name from its local Goddess Koniyamman also known as Koniyattamuttur. The city was ranked the best emerging city in India in the 2014 annual Indian city survey. Coimbatore is the 6th largest metropolis in South India at present. It is the second largest city and urban agglomeration in the state after Chennai. So..We bring you 10 reasons and facts about Coimbatore and they will make you fall in love with this city.! 1. It is the 4th best Cosmopolitan from South India. Yes..! After Hyderabad, Bengaluru and Chennai, it is Coimbatore. A wide range of population exists which comprises of Kannadigas and Telugu’s of 23% and Malayalis -mainly from Palakkad (Kerala) of 18% and a bare margin of Gujarati’s and North Indians. 2. Manchester of South India.! Coimbatore is termed and often called as “Manchester of India” Or South India to be precise. With more than 25,000 small, medium and large industries, the city’s primary industries are engineering and textiles. Yes..Undoubtedly The Best Non Metro City in Tamil Nadu and South West India! Infact, Largest Non-Metro city for E-commerce too. 4. Chennai for Software, Kovai for Hardware.! This fact proves so true. While Chennai is the Software and IT-hub for Tamilnadu. Coimbatore boasts of being the Hardware Capital. 5. Educational Hub of Tamil nadu. Coimbatore has an abundance of engineering colleges. Just like U.S.A has McDonald’s. Undoubtedly, The “Educational Hub Of Tamil Nadu”. Coimbatore is home for Famous Educational institutions like PSG,Amrita Vishwa Vidyapeetham,CIT,Karunya University,GRD College of Arts and many more.. all under beautiful locations. Kovai people are blessed with alluring waterfalls. The Ukkadam lake contributes to drinking water facilities in Coimbatore City to an Extent. They often tell that it tastes very sweet and exaggerate it and tell something on the line of World’s Sweetest Water..!! 7. Home for one of the most delectable eateries of South India. 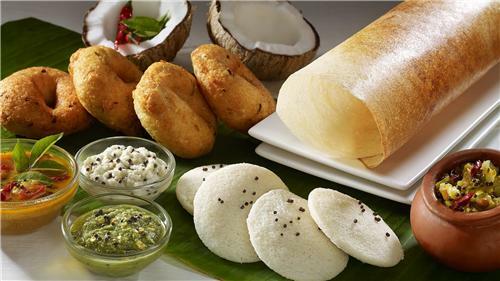 Being a part of Tamil Nadu, the cuisine is a South Indian version predominated by rice. The Annapoorna Gowrishankar Hotels are known for its unique taste of Sambhar. Don’t forget Geeta Cafe’s Mysore Pak and Masala Dosaia few lanes infront of Railway Station. 8. Its Climate makes you fall in love with it. Coimbatore is situated in the west of Tamil Nadu,and also the Western ghats surround it.!! Summers are pity high while Winters and Monsoons are pleasant. 9. The nucleus of south India. If you are live at Coimbatore you can have an easy access to Kochi,Bengaluru,Mangaluru,Chennai,Madurai within a span of 5 to 8 hours..! Ooty this weekend..?? Nah-Nah Maybe Mettupalayam..? Kodai Kanal..?? or lets cross a state..!! Coorg..? Yes, you’ve a hell lot of options. Coimbatore is a place for varied culture and its people are warm and adorable. Just Come to Coimbatore..and Breathe it’s Fresh Air..!